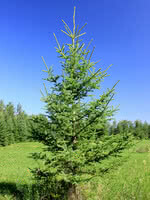 Douglas Fir is a large coniferous tree with a pyramidal shaped crown. 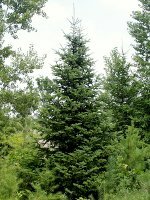 This attractive feature tree, with its distinctive drooping cones, is perfect for any grower who has lots of space and lives in a warm enough region. 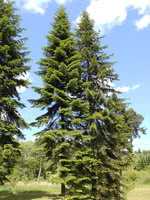 Douglas Firs make exceptional Christmas trees. It is not suitable to all growing environments. Do some research and make sure this tree is right for you.